Please note, this course has now sold out. 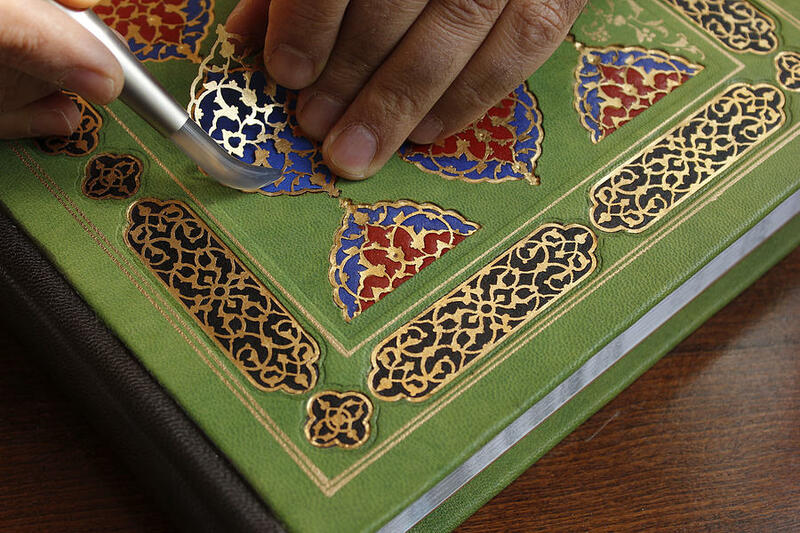 Join us for a new course at The Prince’s School of Traditional Arts on Islamic Book Arts: Binding and Illumination with Shahriar Piroozram. Traditional bookmaking combines the different arts of calligraphy, illumination, painting, paper-making and binding. When beautifully executed, each complements and amplifies the other. A book’s decorated front cover – lacquered, inlaid or stamped – can be as much of a masterpiece as the content of its pages. Students will begin with the basic techniques and will explore early examples of precious Islamic masterpieces. Over the week, students will learn skills in traditional binding, design, incision and decoration to create their own hand-made book. This course is part of the Bagri Foundation Open Programme which aims to expand the Asian arts courses at The Prince’s School of Traditional Arts.